Fannie Mae works closely with mortgage loan companies and other stakeholders in the real estate and finance industries to help home owners who have Fannie Mae loans to avoid a foreclosure. However, there are some situations where a foreclosure is unavoidable. When a foreclosure does occur, the goal of Fannie Mae is to sell the property as quickly as possible to another owner. The HomePath loans have aided struggling homeowners while offering new opportunities for new house buyers. 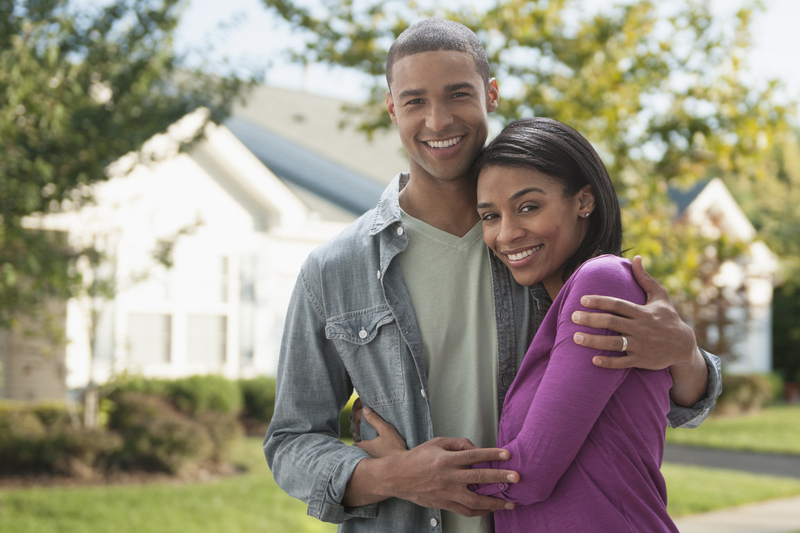 First Time House Buyers across the Country Are Turning to Fannie Mae loans in 2019 more and more because of their Commitment to Home-Ownership with the Home Path Loan Program. Fannie Mae wants to ensure that the property sits vacant for as little time as possible. Vacant homes in communities affect the property values of other home owners. And this is where the Fannie Mae HomePath loan program comes into play. All properties that are backed by Fannie Mae are listed on the HomePath.com website. Each listing includes photographs and a full description of the property. HomePath loans allows each visitor to select property parameters, such as price or number of bedrooms to find the best property for their needs. When considering this unique Fannie Mae loan, make sure you are speaking with authorized Homepath lenders that have experience with this product. The HomePath.com website features many types of homes in all types of neighborhoods across the US. There are single family homes, townhouses and condominiums. Many of these properties are in good condition and are in move in now condition. Fannie Mae likes to sell their HomePath properties only to buyers who plan to live in the home. It generally does not want to sell the properties to investors who are going to either rent or sell the property. When the home is first listed, Fannie Mae accepts bids from only owner occupants for 15 days. This allows these houses to be bid upon without prices being driven up by investors. The countdown that is remaining is displayed on the property listing on the website. These homes are very competitively priced. 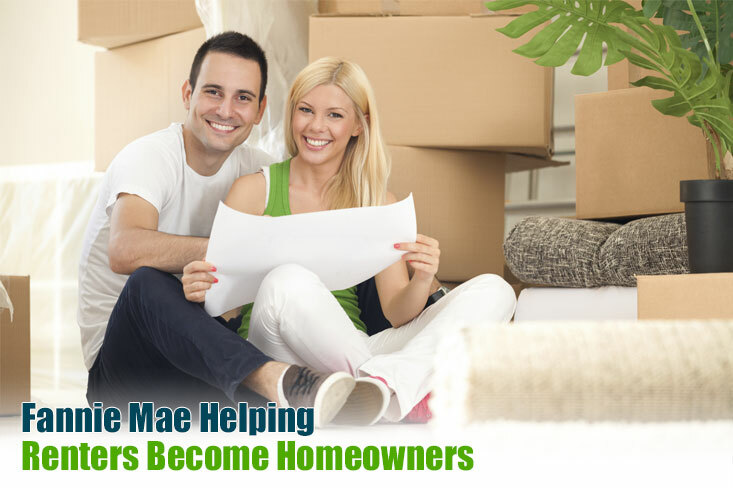 That is why if you are looking for a first-time home buyer program with flexible credit, you may want to consider the Fannie Mae HomePath loan program. It also is a good option for those who are looking for an affordable, larger home, and retirees who want to down size on a limited budget. Also, Fannie Mae has a number of special financing programs. Some of them include a down payment as low as 3% or 5%, and very affordable interest rates. Other incentives also include a special HomePath loan program for properties that are move in ready. There also is a HomePath Renovation Mortgage for homes that need a moderate amount of rehab. This program also provides you with the opportunity to earn as much as 3% in closing cost help toward the purchase of one of these homes. Remember, all of the properties in the HomePath loan program are foreclosures that are owned by Fannie Mae. Fannie Mae claims that you can save up to $4,500 on closing costs on a home that is worth $150,000. The closing cost help is a way to assist first time home buyers with facing the many financial consequences of owning their own home. To be eligible for this program, buyers need to first buy and finish a home ownership education class; this costs $75. Fannie Mae will reimburse you for the cost of the class at closing. There’s more. Down payments on these homes can come from a family member. Or, the down payment can be made via a loan or grant from government or a nonprofit organization. To qualify for the Fannie Mae HomePath loan program, you will need to have your income verified by your Fannie Mae-approved lender. You will need to have copies of your W-2s, tax returns, bank statements, and credit scores. If you have a regular job, you need to have your pay-stubs, and the self-employed need to have a profit and loss statement and tax returns available. The home buyer course is called Framework. It is a self-directed class that exceeds the minimum standards that have been established by the Department of Housing and Urban Development, as well as the National Industry Standards for Homeownership Education and Counseling. The education course is available in both English and Spanish. It takes up to six hours to complete. It is available entirely online and also can be viewed on mobile devices. The program is offered on smart phones because millennial’s are comfortable with Internet technology on all types of mobile devices. As of the end of 2015, 12,000 consumers had completed this education program since it was started in 2015. Of that number, several thousand have put offers on homes and eventually closed. The HomePath loan program by Fannie Mae provides you with a great opportunity to get a home at a very reasonable cost. Many people can qualify for one of these mortgages, as well. Be sure to talk to your lender about the Fannie Mae HomePath loan program today. If you are interested in buying a home, you may want to think about a loan backed by Fannie Mae. One of the most popular Fannie Mae loans is the HomeReady mortgage, which is one of the most popular programs for buyers, sellers and realtors. HomeReady home loans are specialty loans that are offered by Fannie Mae. You can put down as little as 3%. People with lower incomes and higher levels of debt frequently have difficulty coming up with a large down payment. With the HomeReady program, you only have to put down $7,500 on a $200,000 home. This is within the means of most people who are currently renting. It is advisable to put down as much money as you can because this will decrease your monthly payment, but it is good that it is possible to get into a Fannie Mae loan with a very low down payment. Credit score requirements are flexible. The credit score you need to be approved for this program is varied, with some lenders taking credit scores as low as 620. Some lenders may require higher scores. The good news is that hundreds of lenders offer the HomeReady program from Fannie Mae. So if you are turned down from one lender, you can try another. This flexible credit requirement is a good deal for buyers, seller and realtors. Any time it is easier for people to get approved for a loan with a lower credit score, it helps all sides of real estate transactions. No appraisal is needed. When you buy a home most of the time, you need to have an appraisal done to ensure that the home is worth what the lender is lending to you. This is an extra expense, and it can derail some real estate deals if the house ‘does not appraise.’ Not having to worry about an appraisal is good for the buyer, seller and realtor. Flexible mortgage types are available. You can get either a low fixed rate over 15 or 30 years, or a lower adjustable rate for 3, 5 or 7 years. 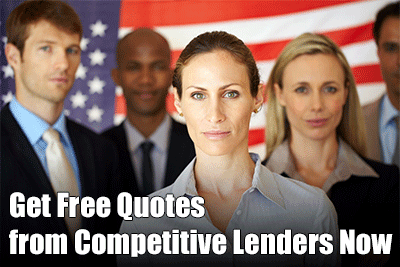 The wide variety of loans available is a good deal for buyers, sellers and realtors. People who expect to be in the home for many years can choose the fixed rate, while those who think they will sell the home or refinance within a few years may opt for a lower adjustable rate. The ARM programs also can be a good fit if you think your income will increase substantially in the future. With approved financial counseling, some borrowers may be able to qualify for a HomeReady mortgage with a debt to income ratio up to 50%. Also, if one of the borrowers on the application completes this special financial counseling, the lender receives a $500 rebate from Fannie Mae. The lender may choose to pass that on to you the buyer; you should ask them about it because not every lender will do so. HomeReady loans can be approved even for a person who does not have credit. Some lenders will allow you to use non traditional methods to establish your credit history, such as a gym membership, cell phone bill and utility bills. It also helps if you can get a letter from your landlord that states you have made on time payments on your rent for the last one or two years. If you need help to make the down payment, you can get a cash gift from a spouse, relative, girlfriend or boyfriend. The money needs to be a gift and not a loan. So, some people may be able to get into a home of their own with a Fannie Mae loan with almost no money down, other than closing costs. HomeReady can be used for a rate and term finance, so you can move into a lower rate with this program if you have a higher rate on your mortgage today. It is not designed for cash out refinances, however. To qualify for the Fannie Mae loan, you also can use the income of someone who is living in the home who is not on the mortgage. You only need to show the lender the proof of income for that person and a signed statement that the person will live in the home for at least the next year. You also do not need to be a legal resident of the US to use the HomeReady mortgage program. Mortgage rates with HomeReady will be lower than other conventional loans, especially when you consider that most people in this program put down less than 20%. Closing costs also can come from a gift from a third party. While you do pay for mortgage insurance with this program, it is lower than that of other conventional loans. As of 2016, Fannie Mae underwrote more than $390 billion worth of mortgages. Fannie Mae supported loans are some of the most common conventional loans on the market. They have competitive rates, reasonable interest rates, and low-down payment options. Below is more information about Fannie Mae home loans, including income documentation requirements. In 2018, we have seen an increase in demand for Fannie Mae loans from first time home buyers across the country as many borrowers are reporting rising wages and income in the Trump-economy. Fannie Mae is the Federal National Mortgage Association. It is a publicly traded company that was created by the US government. Fannie Mae is different from the Federal Housing Administration or FHA. The latter backs loans against default, but Fannie Mae does not. Instead, it buys mortgages from lenders that obey certain Fannie Mae standards and guidelines. Fannie Mae may hold these loans or package them in quantity and offer them to investors. These packages are called Mortgage Backed Securities. The reason Fannie Mae does this is by taking loans off the books of lenders, the lenders can offer more loans to qualified buyers. This increased liquidity in the mortgage market and reduces rates. Who Can Apply for a Fannie Mae Loan? You apply for a mortgage through a lender that was approved by Fannie Mae. This offers the buyer many advantages. Fannie Mae will only buy loans from lenders that follow Fannie Mae guidelines. Fannie Mae will not work with lenders that engage in risky subprime loans with limited income documentation. Nor will Fannie Mae work with lenders who are exploitative or predatory. Most lenders who work with people seeking mortgages offer loans that are approved by Fannie Mae. Learn more about requirements for Fannie Mae loans. To be eligible for a Fannie Mae loan, you need to generally have a credit score of at least 620. The loan amount for typical housing markets cannot exceed $427,000, but this can be higher in high cost parts of the country. Your debt to income ratio should be no more than 28%, and many Fannie Mae loan programs require a 5% down payment. If you want to get an adjustable rate loan, you will need at least a 640-credit score. However, there are new Fannie Mae loans that can be had with a 3% down payment. You may need to pay a higher interest rate, but it certainly can make getting into the home ownership game easier, so it may be worth it. To qualify for a 3% down payment Fannie Mae loan, you need to be a first-time home buyer; you will occupy the home as your primary residence; and the mortgage must have a fixed rate. First time home buyer means that you have not owned a home in the last three years, or you are buying with someone who has not owned a home in the last three years. If you try to get a home loan these days, you will probably notice things have changed from 2005, if you were in the market back then. In those times, you could score a low interest loan with 100% financing and sometimes did not even have to show proof of income. Some of these loans were called ‘no doc’ or ‘no income verification’ loans. They were designed largely for self employed borrowers with unstable incomes and no W-2s. But with lax lending standards, these loans were issued to people sometimes that had no business having a home loan. Eventually, many of these buyers could not pay their loan and the housing and finance market melted down and threatened the world economy. Everything is different now in the US mortgage market, including with Fannie Mae loans. The US government has passed laws requiring lenders to do their due diligence for all mortgages that are backed by FHA, VA, USDA, and supported by Fannie Mae and Freddie Mac. If you want to get a Fannie Mae loan, be prepared to provide two years of tax returns, W-2’s and pay stubs for several months. If you are self employed, getting a loan is not much more difficult. Two years of tax returns are usually needed, and a profit and loss statement for the year should get the job done. Fannie Mar does not guarantee 100% financing like USDA, or VA, but they do encourage down-payment grants from local and state agencies. It may be worth your time to research down-payment assistance that could be available with HomePath loans or other Fanne Mae home finance programs you are considering. While getting a mortgage is a bit more complicated in 2018, it really is a good thing for you and for the country. You really do not want to have a home loan that you cannot afford to pay, and neither does your lender or the federal government. Many people with average to good credit get loans supported by Fannie Mae. Just be ready to prove your income with documentation, whatever it is. If you have credit scores below 620 or so, you might want to consider an FHA home loan; this program is great for lower credit borrowers with past credit problems. You can still get a low interest rate with FHA, but mortgage insurance is a bit more expensive. Buying a home as a first-time buyer can be daunting. With the HomePath loan, the US government is doing its best to support smart and sustainable homeownership. The HomePath program is essentially a list of foreclosed homes for sale that you can be eligible to buy. It also is a home-buyer education program that requires you to take a mortgage education class to ensure that you know how to budget properly in your new home. The program also features closing cost assistance for first time home-buyers. The heart of this program is to showcase certain homes that were financed with a Fannie-backed mortgage that for whatever reason when into foreclosure. The homes in this program have been repossessed by Fannie Mae. While you might not think that you would want to buy a foreclosed home, these homes have been deeply discounted and can be quite a bargain. It is not unusual for a foreclosed home to be discounted by 20% or more. But you should know that just because you can buy the home on the cheap, this does not make it always a great bargain. HomePath homes are sold ‘as is,’ which means they could require major repairs. 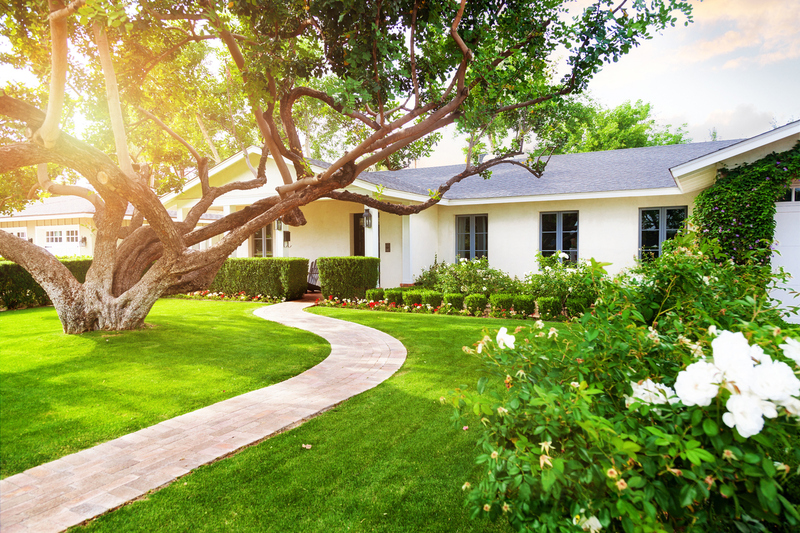 There is nothing wrong with buying one of these homes; you just need to go into the process with your eyes wide open about potential repairs on the home. The important thing to remember about the quality of these homes is it is important to do your homework on the home before you make an offer to buy it. If the home requires substantial repairs, this should be reflected in your offer. But Fannie Mae requires you to work with a licensed buyer’s agent, so you are unlikely to overpay for the property. The HomePath Fannie Mae loan is unique. Buyers of these homes can get into the home with only a 3% down payment. This is one of the smallest down payments out there, unless you opt for a 100% financing loan on a rural property guaranteed by the USDA. Note that you can get the entire down payment as a gift as well, so you may not even need to come up with any money yourself to get into the home. For a buyer who plans to live in the HomePath property, maximum seller concessions are now up to six percent of the purchase price. This can really help you to get into the house if you are short of cash. For buyers who want to make the home an investment property, restrictions have been relaxed under the 5 to 10 properties program. For all buyers, HomePath properties can be financed by the FHA or if you are in the military, by the VA.
One of the biggest benefits for first time buyers is it is possible to get a lot of your closing costs paid. Buyers who have not owned a home in the last 36 months may be awarded closing cost assistance of up to 3% of the price of the home. Closing cost help is provided by Fannie Mae and is delivered at the closing table. For you to be eligible for this feature, you have to complete a homeownership course online and pay a $75 fee. Also, you can use the HomePath Buyer Ready class to satisfy the requirements of down payment help programs. The drawback of the HomePath loan program is the inventory. Some of the homes may not be in the most desirable areas, and you may not find many homes in the areas in which you want to live. You may need to continue to watch the Fannie Mae HomePath website to see if a property pops up in an area in which you are interested. References: HomePath Mortgage by Fannie Mae. https://www.homepath.com/homebuyers.html (2016, Jan. 23). Bryan Dornan is Chief Editor of RefiGuide.org. Bryan has worked in the mortgage industry for over 20 years and has a wealth of experience in providing mortgage clients with the highest level of service in the industry. Bryan's continual focus is to promote affordable home-ownership to consumers like you across the United States. Should you have any questions about articles like this, let him know.